UMBC is among the the nation’s best colleges for students seeking an exceptional education with great career preparation at an affordable price, according to an announcement today by Princeton Review. Thanks to UMBC’s amazing Career Center, undergrads here are able to enter the job market with confidence. Starting from freshman year, the office works to empower students and help them plot their career goals. The publication goes on to highlight UMBC’s recruiting and networking events as opportunities to meet with representatives from top employers, interviewing workshops, and writing seminars for resumes and cover letters. UMBC has appeared on this “best value” list several times in the past, including in 2008, 2009, 2011, 2013, and 2014. Four other Maryland universities are included this year: Johns Hopkins University, the U.S. Naval Academy, Loyola University of Maryland, and University of Maryland, College Park. A few weeks ago, UMBC was also again named a Best Value College for 2016 by Kiplinger’s Personal Finance, appearing on both the Best Value Public University list and “top 300” national Best Value University list. 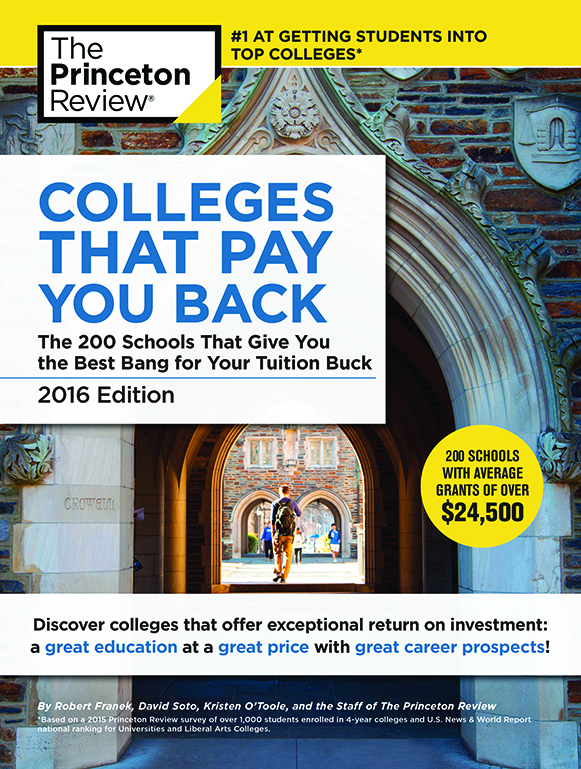 Images: UMBC library, by Marlayna Demond ’11 for UMBC, and “Colleges That Pay You Back” (2016 edition) cover, courtesy of Princeton Review.